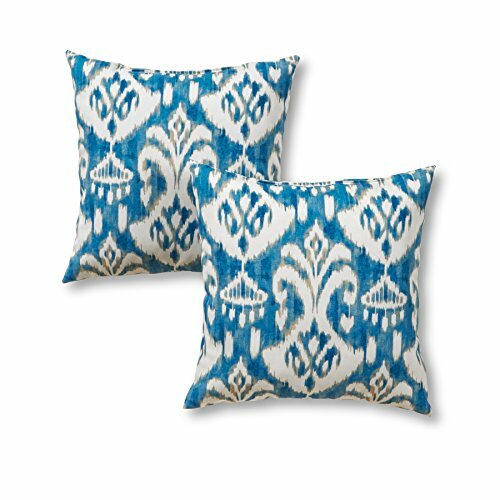 Add a stylish and contemporary accent to your outdoor furniture with this set of two Greendale Home Fashions 17 inch square accent pillows. Each pillow is overstuffed with 100% soft polyester fill, made from 100% recycled, post-consumer plastic bottles, for added comfort, strength and durability. It's exterior shell is made from a 100% polyester UV-resistant outdoor fabric. A variety of modern prints are available.